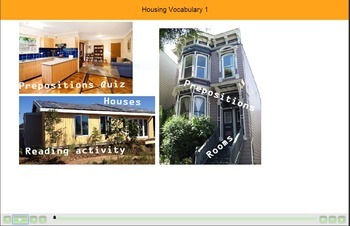 This is the mobile version of the Housing 1 Interactive Resource. It will be responsive to the web, iPad or iPhone and resize. Just take a look at the images to get an idea of how they will resize. 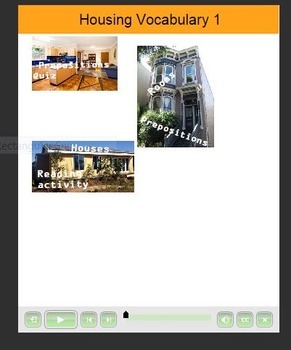 There are 2 simple quizzes and 1 interactive reading activity using vivid images and pop-up answers to questions asked. Learners can pause when they need to read longer and take notes of new words and phrases. • Responses can be reviewed at the end. • answers reviewed at end. 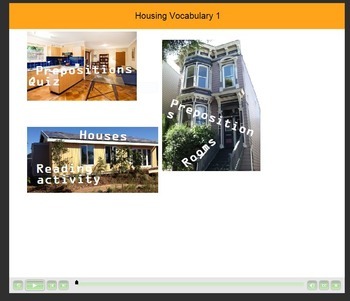 The quiz can be displayed for a whole class activity or it could be uploaded online for individual student use. 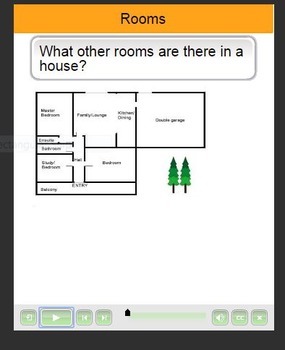 It is also possible to print the text and questions. Visit my site at englishinsider. Remember that you earn credits for every rating and comment that you provide.